HA NOI (VNS) — Moody's has placed six Vietnamese banks on positive outlook, the credit rating agency announced on its website on Monday. 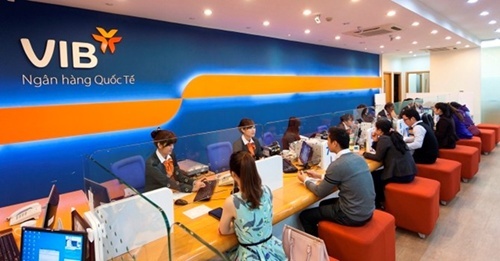 It upgraded the ratings of the Viet Nam International Bank (VIB) by one notch to B2, while affirming the ratings of five other banks at B3 and changing their outlooks to positive. The five banks include Military Bank (MB), Sai Gon Thuong Tin Bank (Sacombank), Viet Nam Technological and Commercial Bank (Techcombank), along with Asia Commercial Bank (ACB) and Viet Nam Prosperity Bank (VPBank). The agency also affirmed stable outlook for the Viet Nam Bank for Industry and Trade (Vietinbank), the Bank for Investment and Development of Viet Nam (BIDV) and Sai Gon – Ha Noi Bank (SHB). Moody's said that these ratings were primarily driven by the stabilisation in the operating environment and the expected improvement in underwriting standards, which, in turn, were due to improved governance and lower risk appetite at some banks. While Viet Nam's economic growth has moderated, the country has managed to stabilise inflation below 7.5 per cent, and this achievement has allowed the State Bank of Viet Nam to reduce its policy interest rates to promote economic growth. For example, the refinancing rate fell to 6.5 per cent earlier this year from 9 per cent at the end of 2012. The lower interest rates are a positive development for Vietnamese banks because they reduce the debt burden of their borrowers. The macroeconomic stability has also supported the liquidity profile of the domestic banks. As deposit growth outpaced loan growth, the banking system's loan-to-deposit ratio improved to 82 per cent this June, from 87 per cent a year ago.